The WISE expansion I/O module is an easy-to-use user-defined IO expansion controller. It features WISE rule engine, and communicates over Modbus TCP. 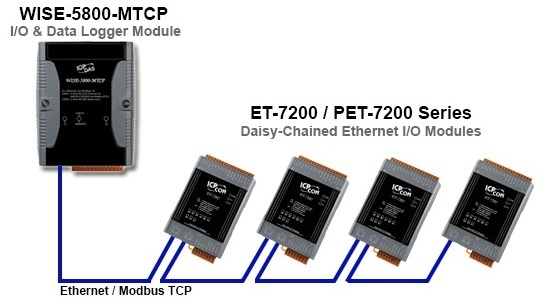 Based on ICP DAS IO technology, there are various X-Board IO modules for users to choose from to meet their demands for use in various industrial applications. WISE modules also supports Power over Ethernet (PoE) function. 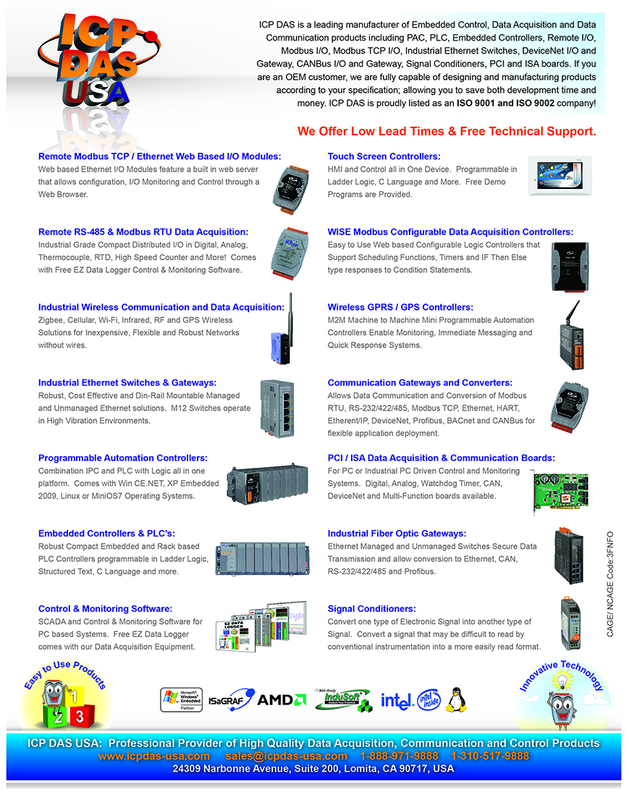 WCDMA 900/2100 MHz;TD-SCDMA 1900/2100 MHz; CDMA2000 (BC0) 800 MHz, FDD LTE: B1/B3/B8 MHz; TDD LTE: B38/B39/B40/B41 MHz.